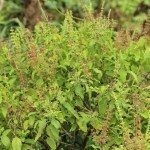 One of the tastiest and easiest herbs to grow is Ocimum basilicum, or sweet basil. Basil plant seeds are a member of the Lamiaceae (mint) family. It is mostly grown for its leaves, which are used dried or fresh in many different Asian or Western dishes. Basil plant seeds are also used in some Thai foods. It is easy to learn how to plant basil seeds. Basil should be grown in a place that gets sunshine at least six to eight hours per day. The soil should be well-drained with a pH of 6-7.5. You might wonder, “When do I plant basil seeds?” Basically, the best time to plant basil seeds is when all danger of frost has passed in the spring. Every area has a different climate, so when to plant basil seeds can differ from state to state. Growing basil seeds is not that difficult. Just sow basil plant seeds evenly by covering them with about ¼-inch of soil. 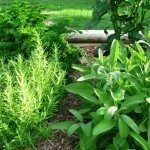 Keep the soil moist and make sure you remove any weeds. The growing basil seeds should germinate within a week. The seedling can be recognized by D-shaped seed leaves that will have the flat sides facing toward each other. 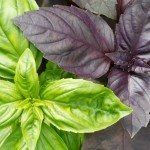 Once you see a few more pairs of leaves, you should thin the basil plants to be about 6 to 12 inches apart. If you have wondered how to be successful planting basil seeds inside, it can be done about six to eight weeks before you would normally plant them outside so you can get a good head start on the basil plant growing season. You might want to do this if you are growing basil seeds like “Purple Ruffles,” which is a slow-growing variety. You will want to make sure you water your basil every seven to 10 days to make sure your plants get enough water. This depends, of course, on the amount of rainfall in your area. Remember that, when growing basil seeds, container plants will dry out quicker than those you plant in the garden, so remember to water them as well. Once your basil plant seeds are fully grown, it is nice to pick the leaves and let them dry so you can use them in sauces and soups. Basil is wonderful with tomatoes, so if you have a vegetable garden, be sure to include planting basil seeds among the vegetables. Further, no herb garden is complete without basil, and it is one of the easier herbs to grow and keep healthy.